How Does A High Output Alternator Work? A vehicle comes with a stock alternator from the factory to meet the basic electrical needs of a vehicle. Even though the vehicle comes with a stock alternator that can fulfill the basic needs of the car such as supplying power for the lights and sound system. However, since the vehicles today are highly upgraded a great alternative to a standard alternator for supplying amps is high output alternator. A high output alternator is generally used to increase the amperage within the electrical system. When an alternator is not turning quickly, the output could be reduced hence not keeping up with the demands of a charging system. In such a case battery has to make up for providing the amps, that’s why reserve of the battery is considered like a deposit account that saves power. The amps stored in a battery’s reserve capacity then provide the amps when electrical load exceeds the charging system output. However, this could affect the power of the battery negatively and put pressure on the battery. Therefore, a high output alternator is recommended to save the battery’s power and provide the required electrical output and amps to a vehicle. When a high output alternator is used, amps are supplied back to the battery when the vehicle is used, and with a high output alternator charging systems are able to generate more amps and supply vehicle with the amps required to keep the vehicle running. A high output alternator functions by providing the required amps. A high output alternator is can be used in case of alternator failure. Alternators run on the basis of load on the charging system, so higher the amps required, more the pressure on the charging system and higher the operating temperature of an alternator would be. A high output alternator is recommended in case additional accessories are added to a vehicle because the stock alternator might not be able to handle the demand of higher amp and voltage that are required to run additional accessories. A basic alternator that is traditionally installed in the vehicles provides power for basic functions such as ignition, starting the engine, audio, and lights etc. However, traditional alternators can only run for a few minutes under extreme load and can be damaged due to overheating. In order to avoid alternator damage due to overheating, high output alternators are designed. There are different types of high output alternators depending on the type of car, power requirements and the functions of the car. The three basic types of high output alternators are high output alternator required for audio and high output alternator required for running applications, and the high output alternators for all functions. Specialty designed alternators are designed to provide power to all applications and systems of a car without being overheated. Companies such as Leece-Neville and Neihoff design high output alternators that can supply amps for all functions of a car without exceeding the temperature limit and being damaged. Choosing a specialty designed alternator depends on the type of car you have and the functions you want to perform. Therefore, different companies design different types of specialty designed alternators according to exact amps required by a car. Based on our needs of sound systems the requirement for output changes therefore special high output alternators are designed to run different audio systems in a car. As a cars sound system is upgraded and audio output increases the requirement for energy to run the sound output also increases. For example typically 16 amps are required to run around 100 watts of audio, so if a vehicle has a 100 watt amplifier the traditional alternator can produce the electrical energy of 16 amps, but if a vehicle has an amplifier of more than 100 watts then a high output alternator will be required to run the function. Some vehicles are upgraded to run more applications e.g. vehicles that don’t come with electric doors and windows would require a high output alternator if the windows are upgraded to electric from manual. If lights of a car are upgraded and additional lights are added i.e. emergency lights for police cars then a high output alternator would be required. Thus, high output alternators designed to run applications are designed to run any applications that require more amperage than the stock alternator can provide. 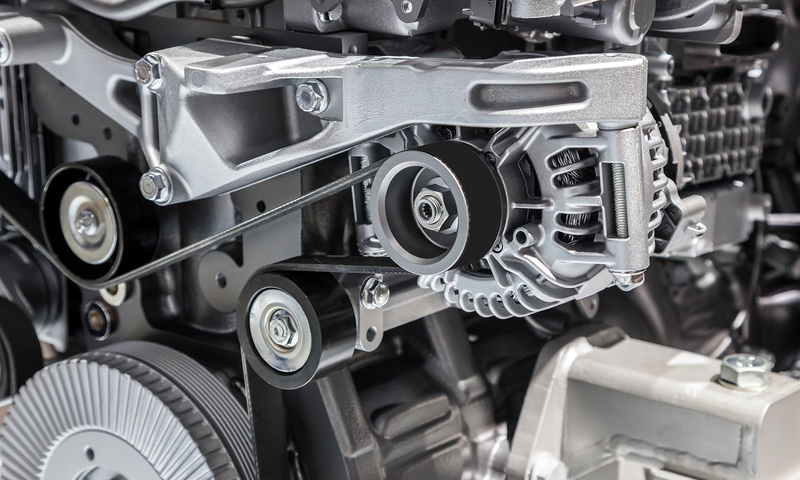 Dynamo generators and OEM alternators are two examples of alternators designed to provide the additional electric power required by a vehicle. What are the parts of an alternator and their functions? High output alternators are designed to achieve high output functions, therefore, they are designed with heavy-duty diodes in order to produce and handle large currents and heat. The different part of a high output alternator would be its diodes, wires for producing electric current and heat resistant parts in order to increase their durability. In addition, some high output alternators also contain chrome-plated compartments in order to increase their resistant to harsh conditions. An alternator needs to have a wiring harness to handle the alternator output and different amp alternators to generate high electric output. How does an alternator go bad? An alternator goes bad when it’s used in extreme conditions and needs to produce higher amperage than it can handle. In order to prevent an alternator failure, it is important to know the output capacity of an alternator and upgrade the alternator when the amps requirement of vehicle increase due to up-gradation. The picture in the above section shows the different parts of alternators, the cooling fan, finger poles rotors, slip rings and bearings. An alternator goes bad if one of the parts stop working. The most common instance of an alternator going bad is bearing failure because of accumulation of dirt in the alternator which halts the function of an alternator and causes damage because of overheating. A high output alternator should be used if you want to upgrade your vehicle and the upgrade requires higher electrical output from the vehicle. The type of alternator you should purchase depends on the type of upgrade and the function an alternator is required to perform. It is important to check an alternator regularly in order to assess whether it’s functioning properly or if it needs to be changed. Generally, loud noises from a vehicle, dim lights, or sound system not functioning properly can be linked to an alternator failure, because these things happen when an alternator stops functioning properly. Therefore, check regularly if the alternator is performing its duties properly and change the alternator if it’s not functioning properly. What Is An Amp Rating? Alternator Smart Charging, What Is It?